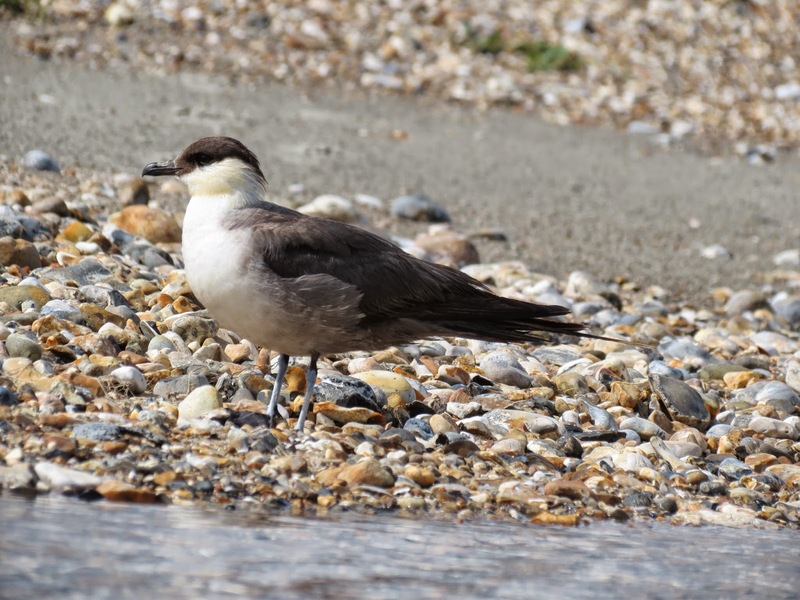 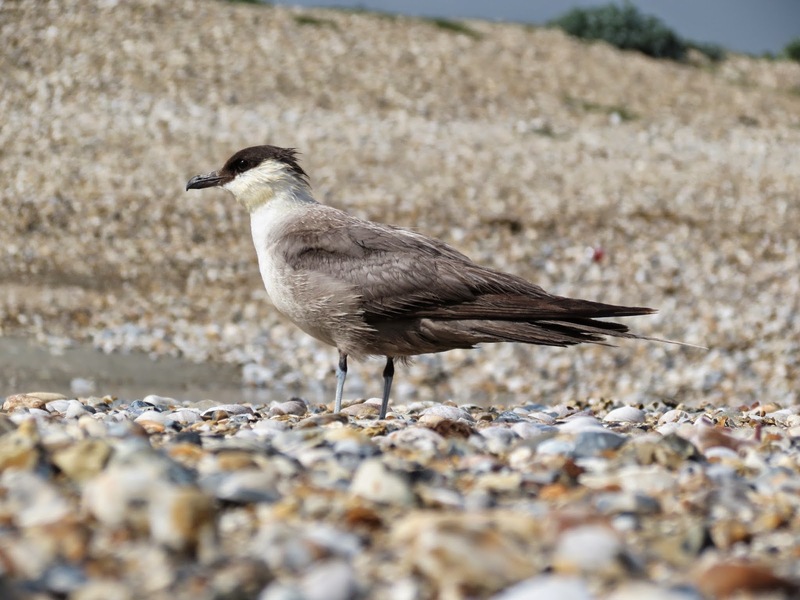 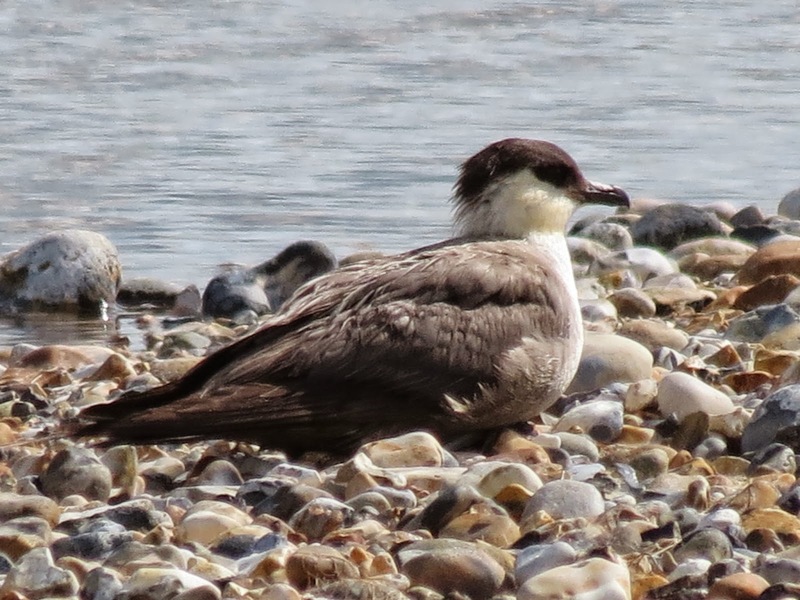 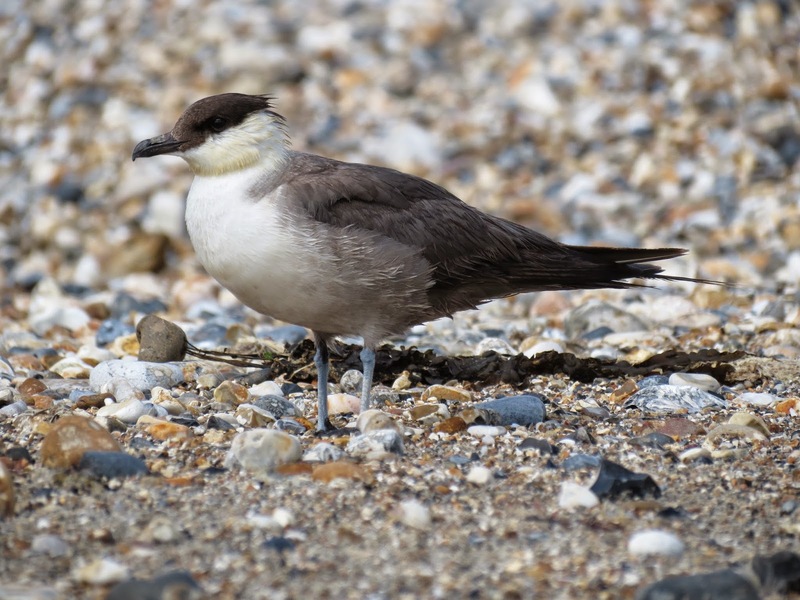 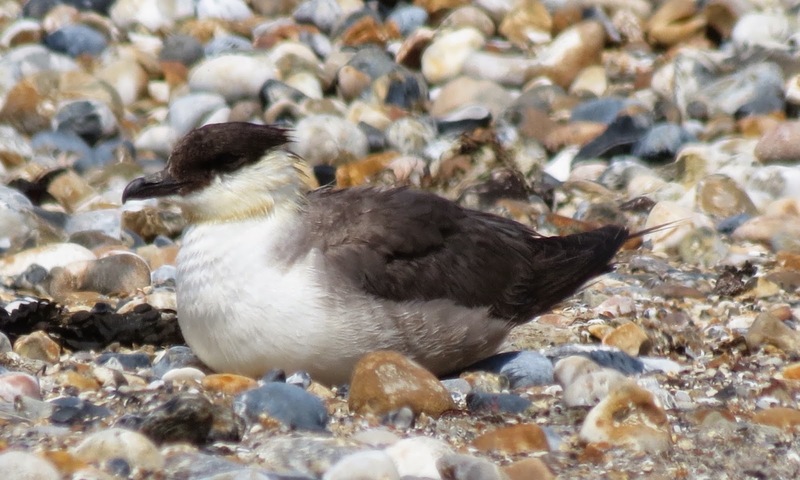 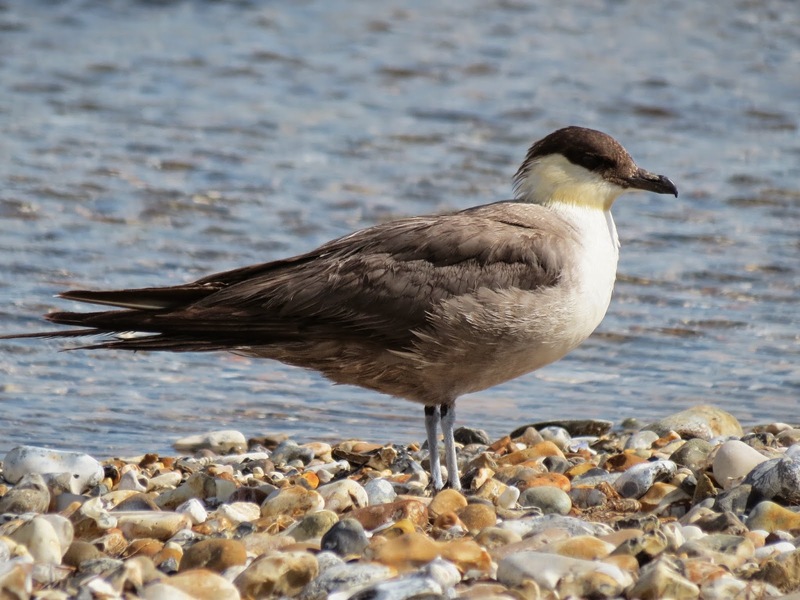 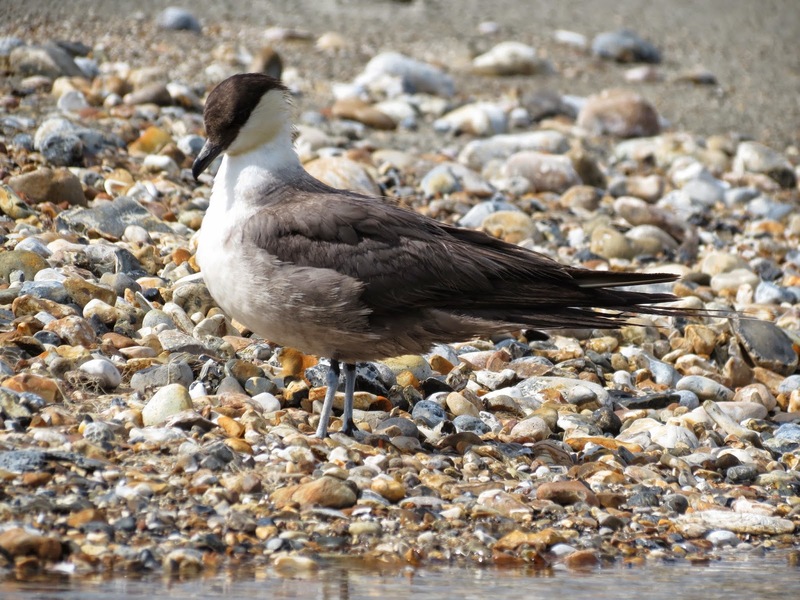 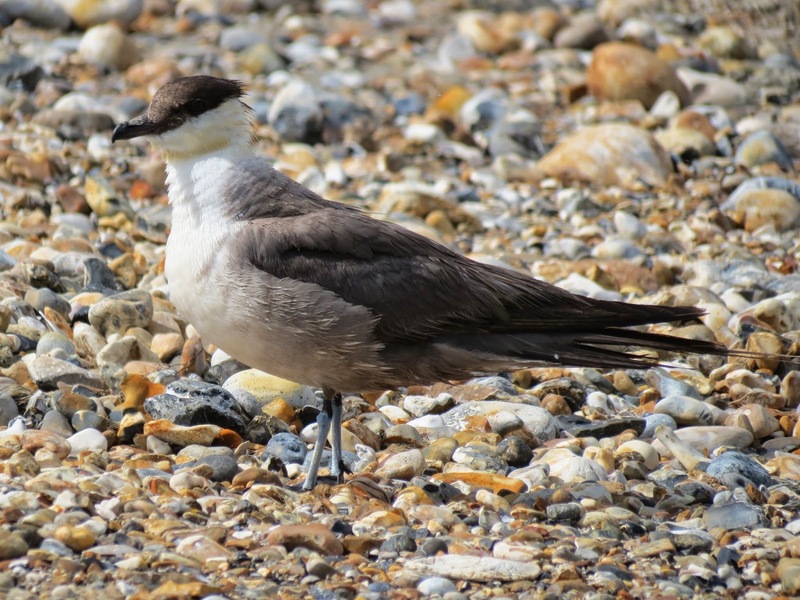 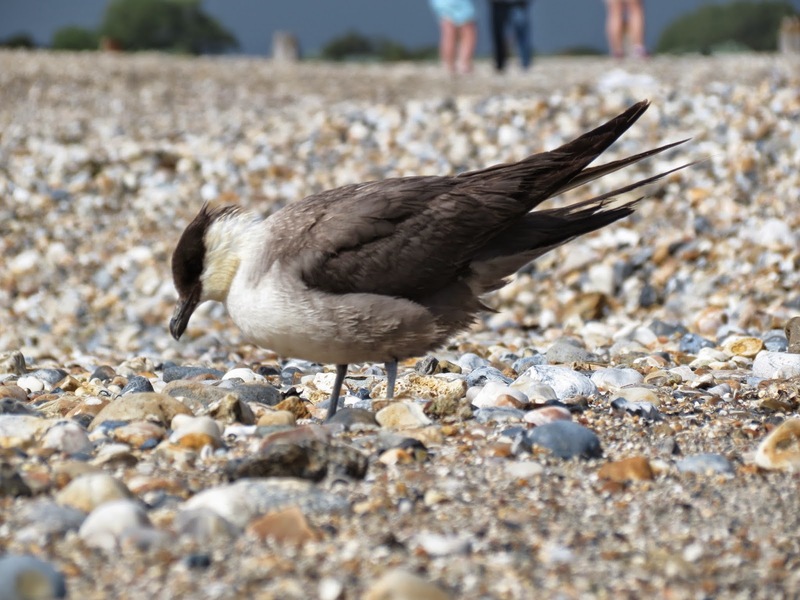 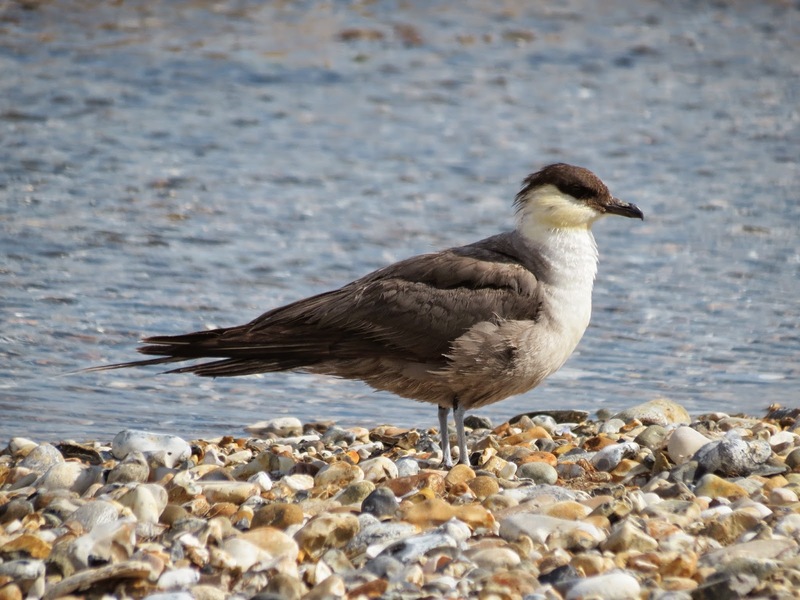 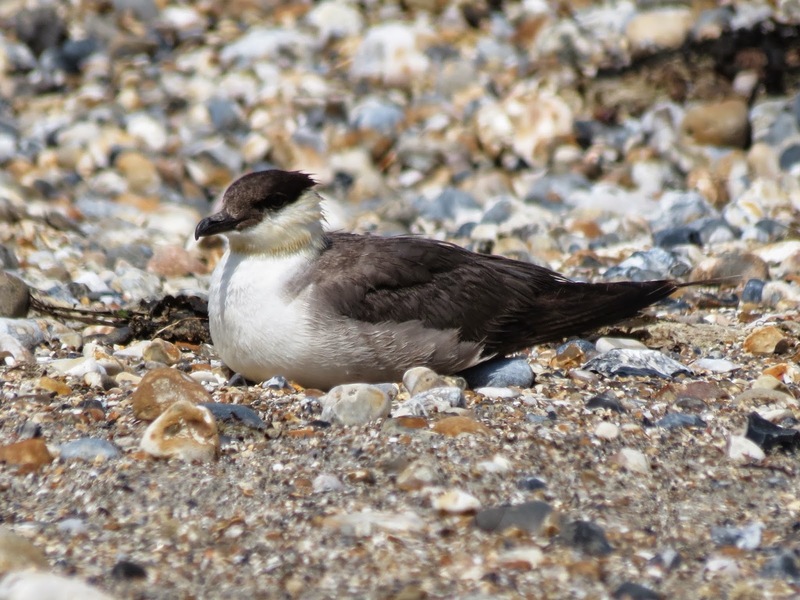 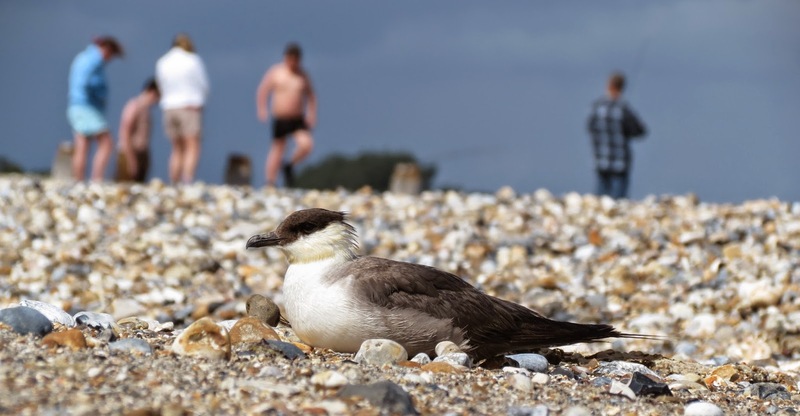 On Saturday 2nd August, local birder Andrew House photographed a small skua harassing Sandwich Terns at Church Norton, in Pagham Harbour (West Sussex). 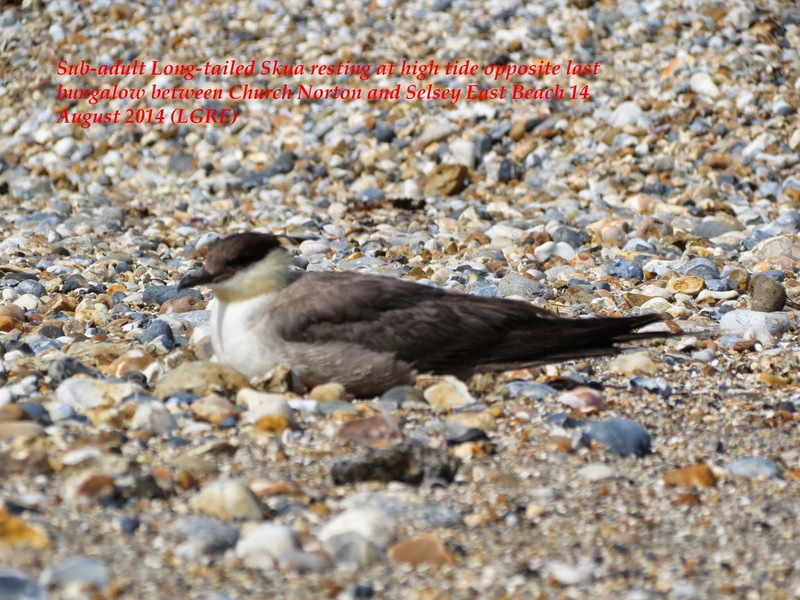 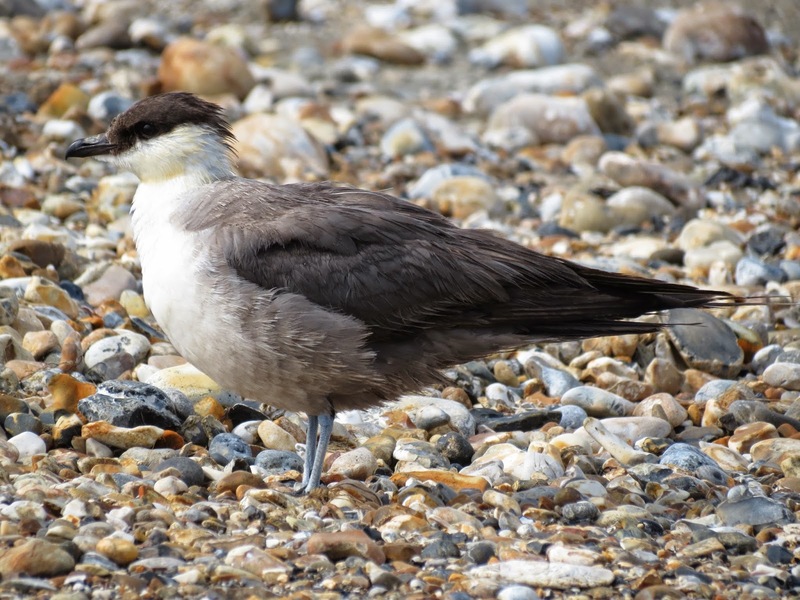 He obtained several record shots of the bird and over the next few days of its presence, these were uploaded onto Andy's local Pagham Harbour blog site on the web. 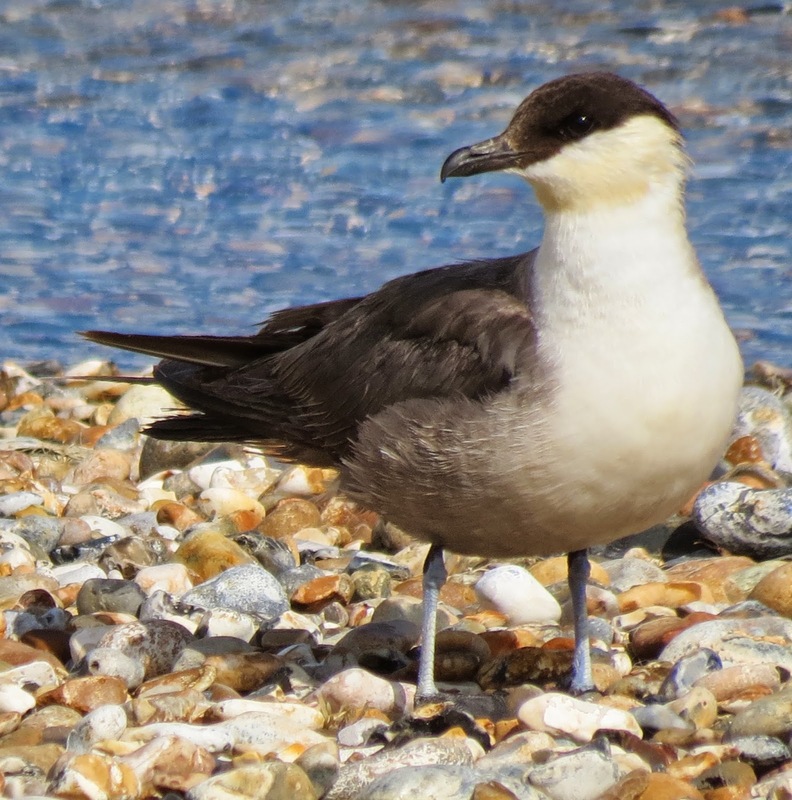 Sharp-eyed David Cooper noticed these and questioned the identification and with better insight and improving images, Andrew and others were able to confirm its identification as LONG-TAILED SKUA on Tuesday 5th August. 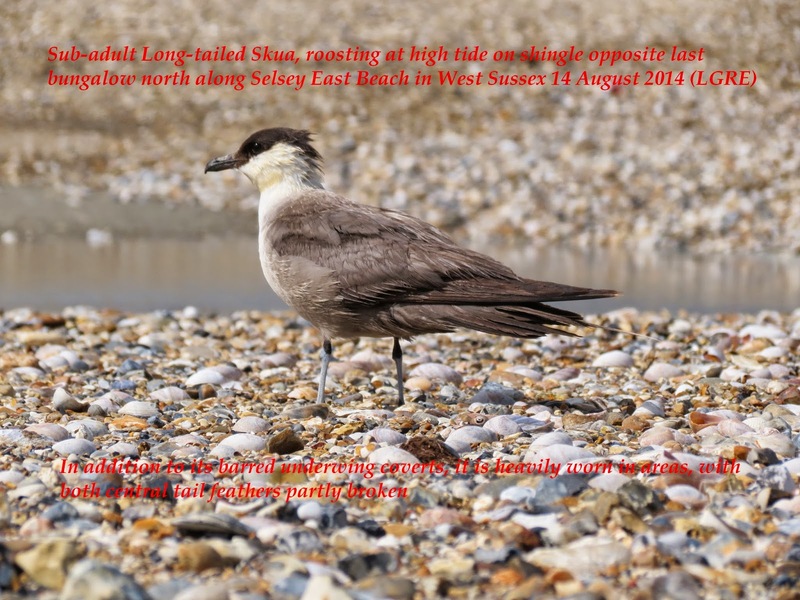 Since then, the bird has been seen daily, patrolling the beach between the new Medmerry RSPB reserve west of Selsey Bill to Church Norton to the east. 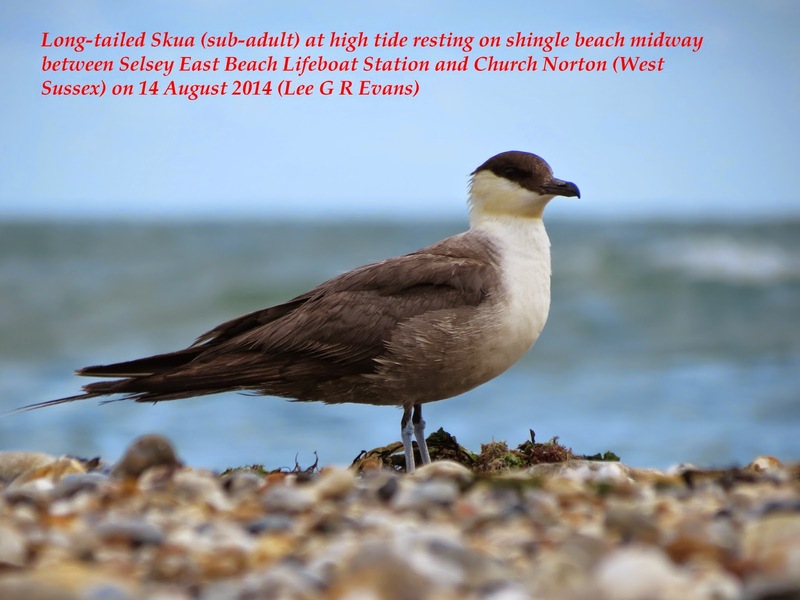 Much more recently, locals have discovered that it is returning to roost high tide on the shingle halfway between Church Norton and Selsey East Beach Lifeboat Station, generally spending up to 3 hours there if not disturbed - usually in line with the last 3 bungalows on the Selsey Peninsular. 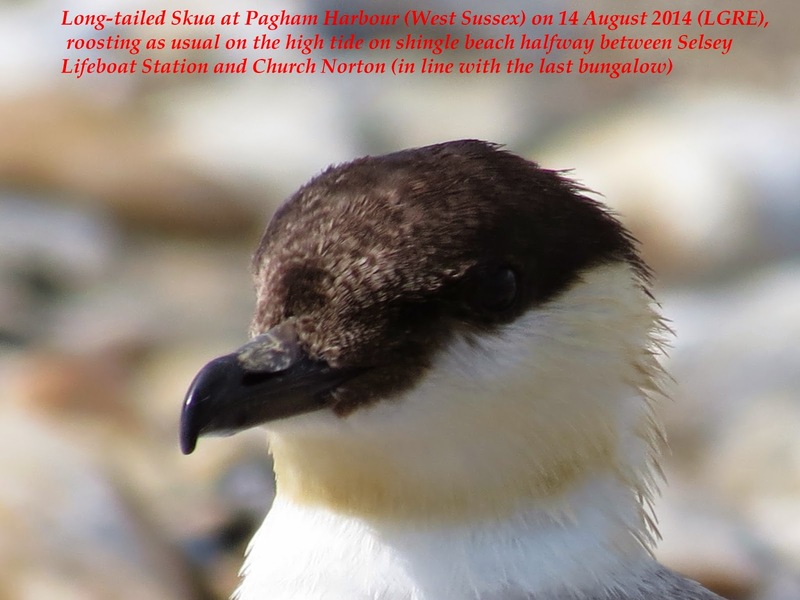 Once roosting, the views are astounding and a spectacle to be cherished. 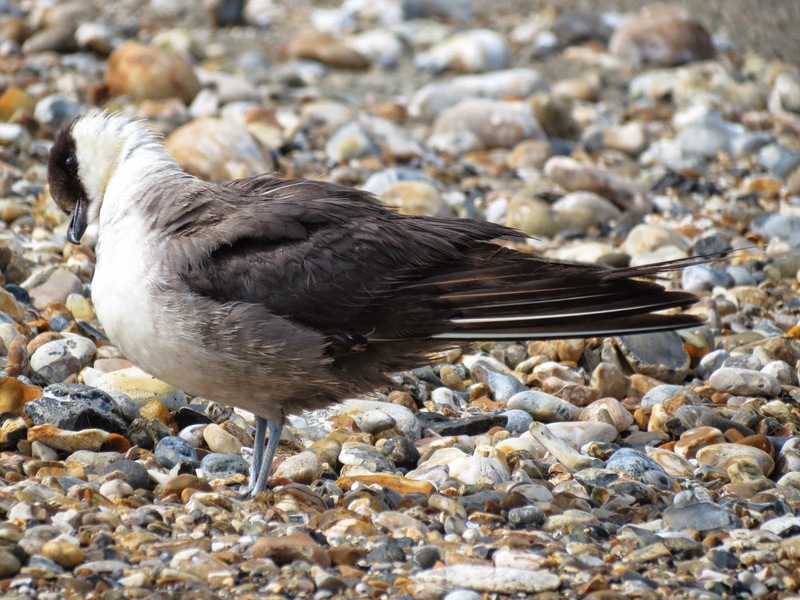 The bird is a sub-adult, with retained barring on the underwing coverts. 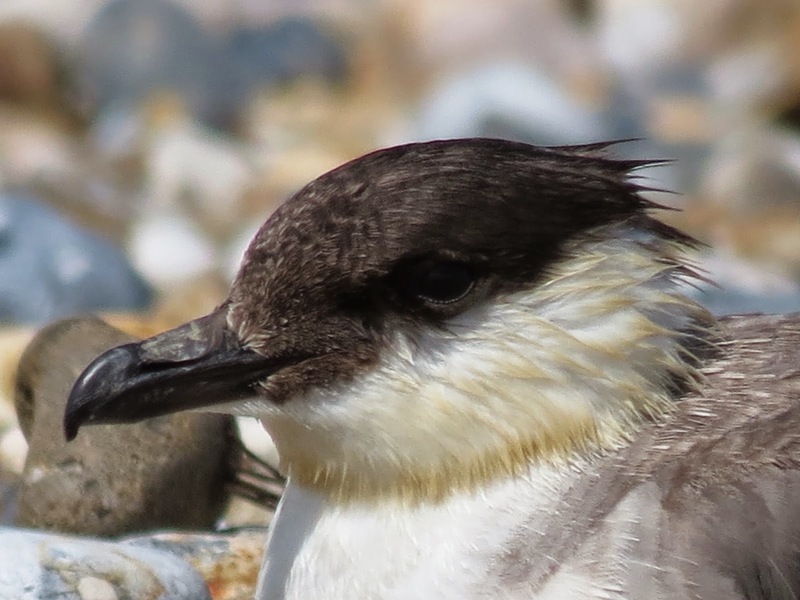 Although I have now seen it on 5 occasions over 7 visits, yesterday's visit was an undoubted climax - the bird performing just a few feet in front of me for over 3 hours. 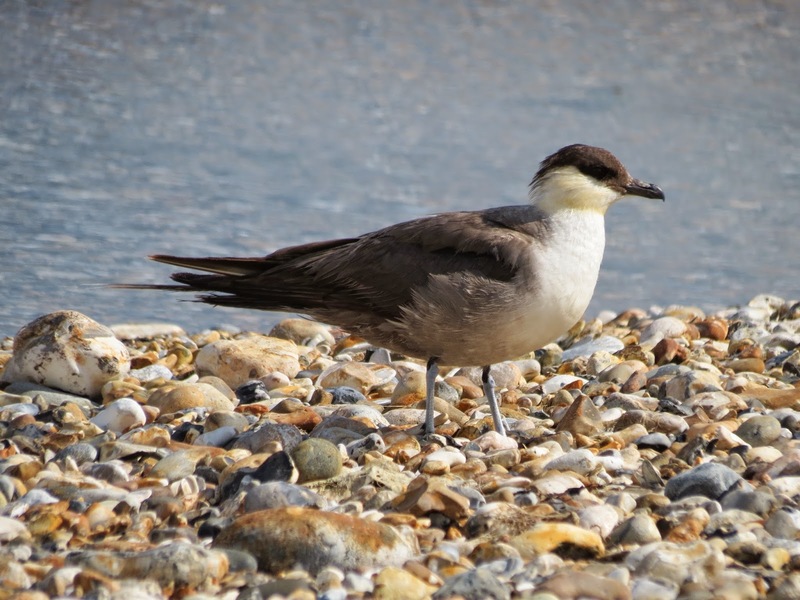 Please browse a selection of over 2,000 images I obtained of the bird below. 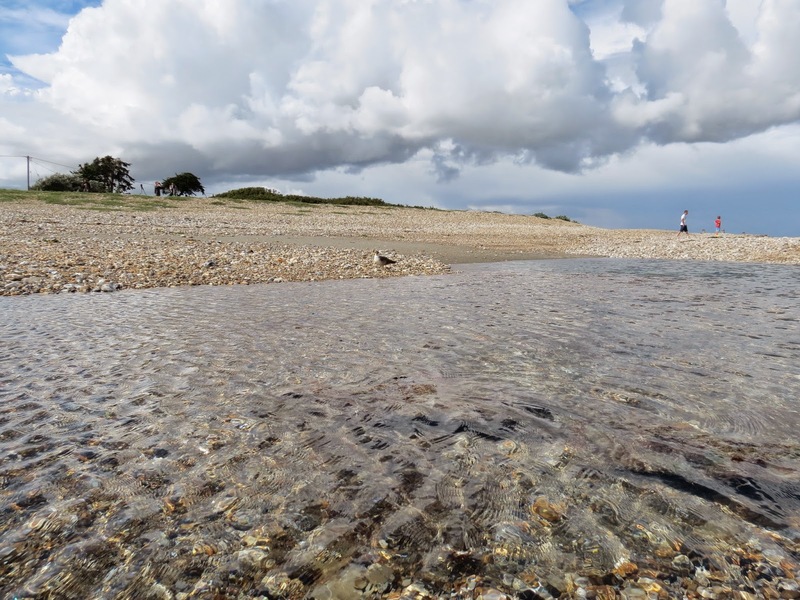 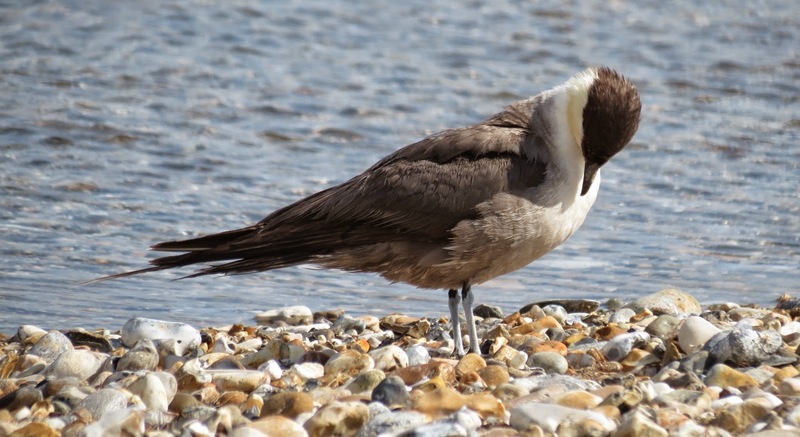 To see the bird, allowing an hour either side of high tide, park by the church at Church Norton and walk half a mile south to the shingle beach in line with the first few beach bungalows. 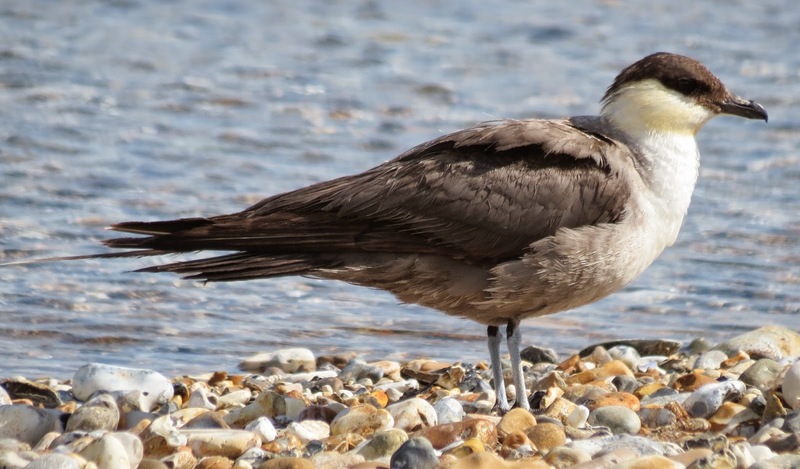 The fact that the bird is retaining barring in the underwing coverts (see Mick's superb images immediately above) indicates that it is most likely a fourth-summer (in its fifth calendar-year). 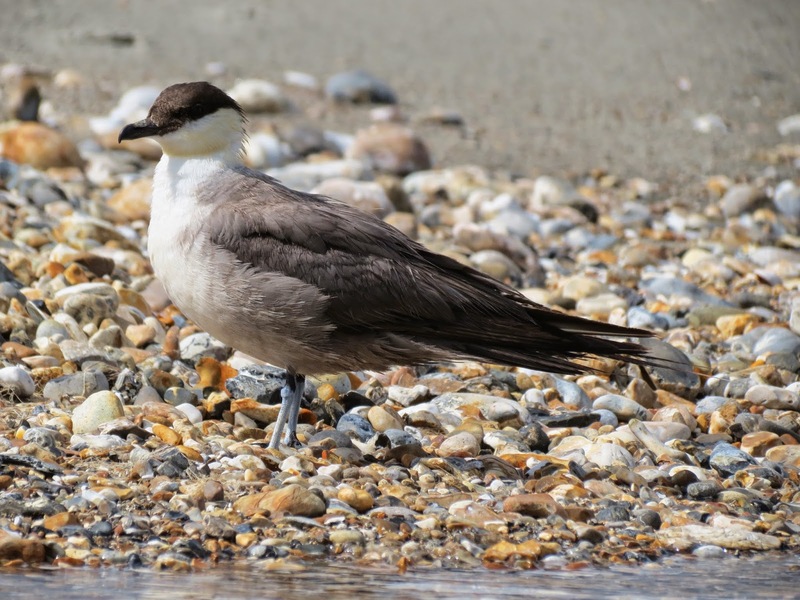 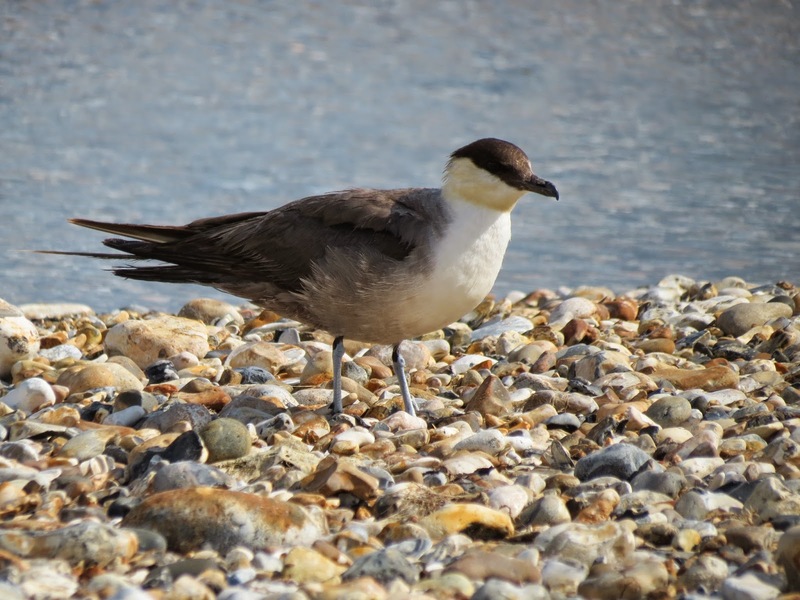 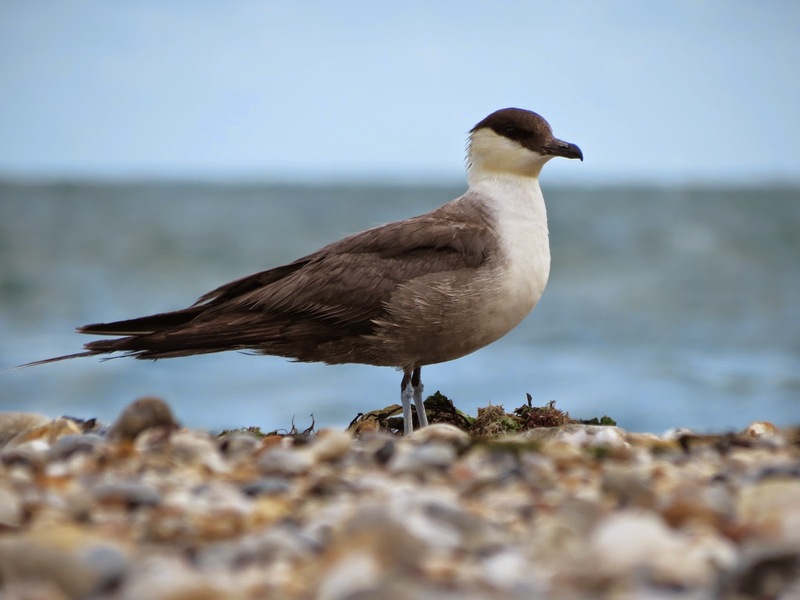 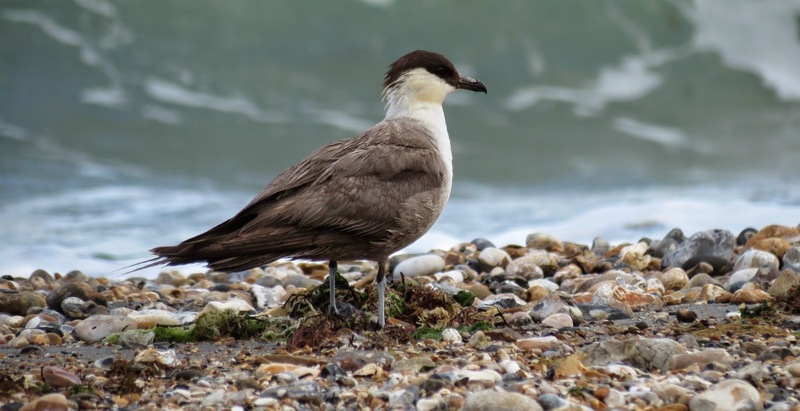 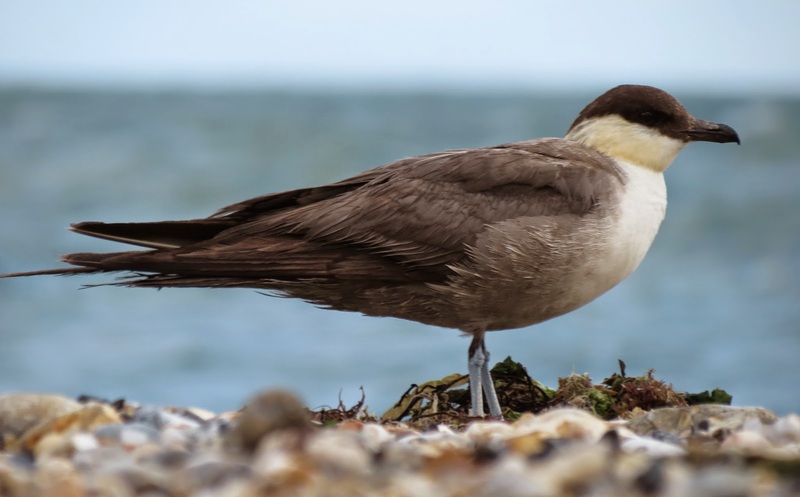 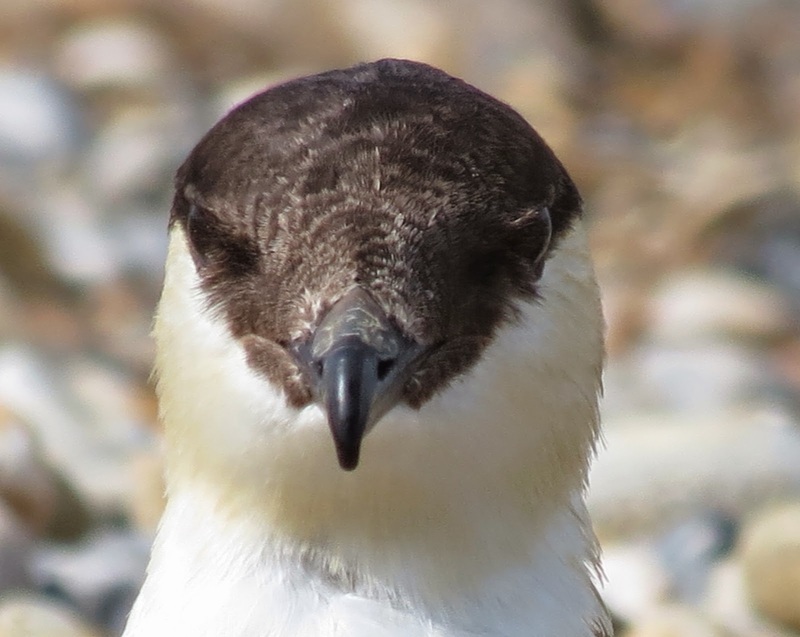 Long-tailed Skua is the smallest and most graceful of the skuas - a lightweight by comparison. 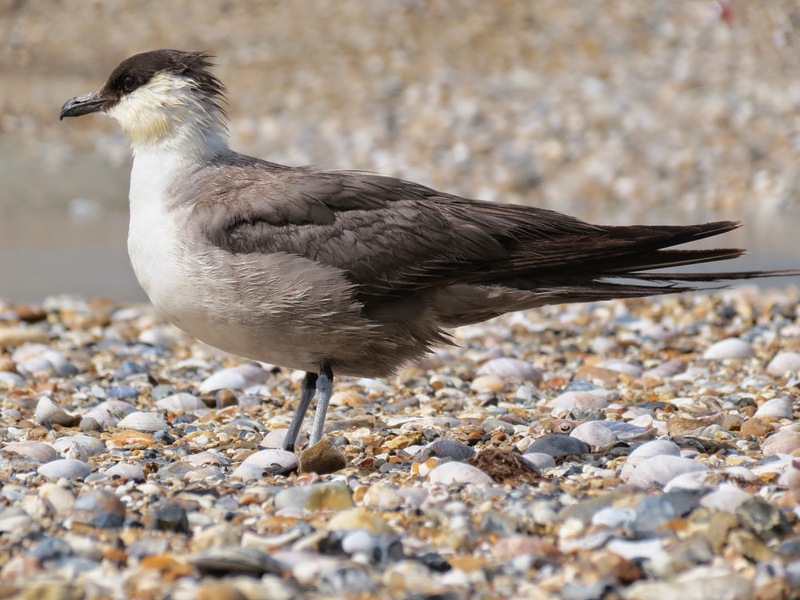 It is about the size of a Black-headed Gull and has a shorter and rounder head and longer and narrower body and tail, appearing triangular and tapering behind the slender wings. 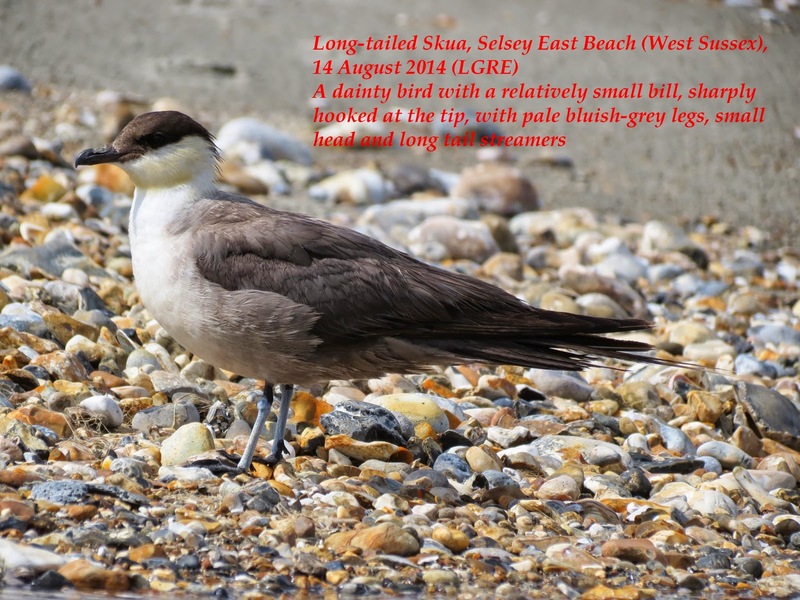 The breast is deep and the belly flat, the tail longer than the width of the arm. 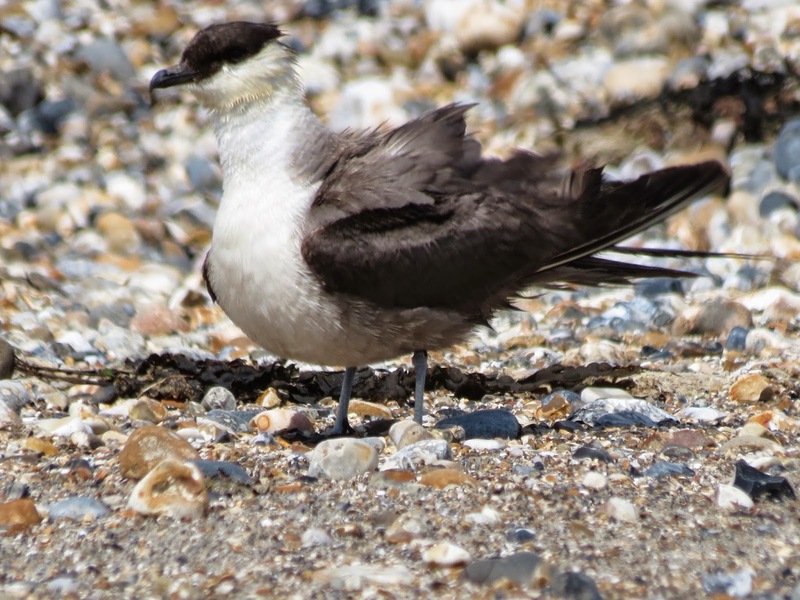 The wings are narrower than those of Arctic Skua and the short head is accentuated by the short and rather heavy bill (proportionately). 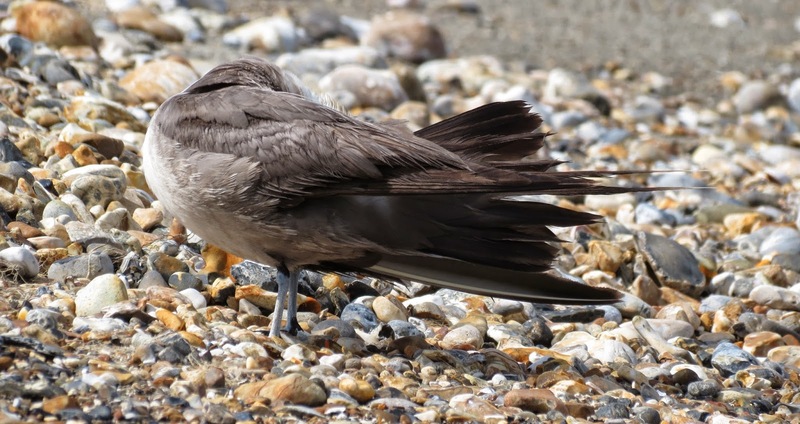 The outer wing shows just 2 (occasionally 3) pale primary shafts in the upperwing, forming a narrow but complete pale line on the forewing, has two-toned upperwings and lacks a primary patch below (in anything apart from juveniles). 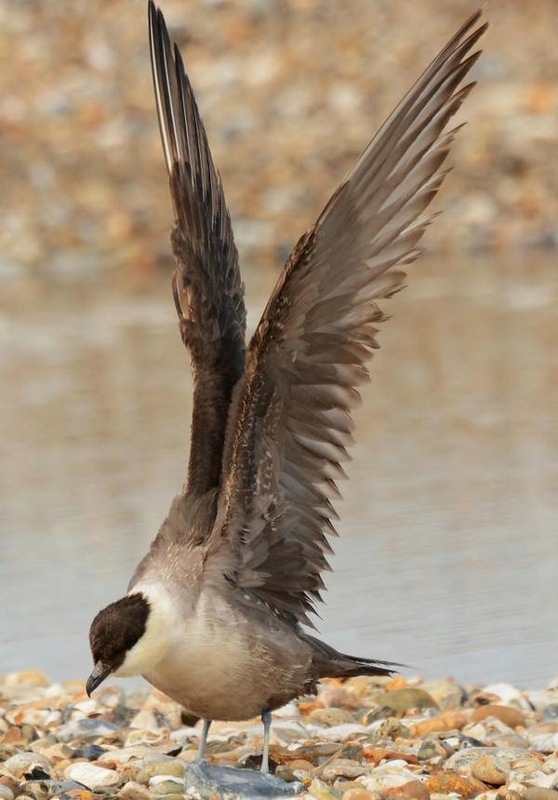 The flight is more lightweight than that of Arctic Skua's, with weaker wingbeats and far more gliding. 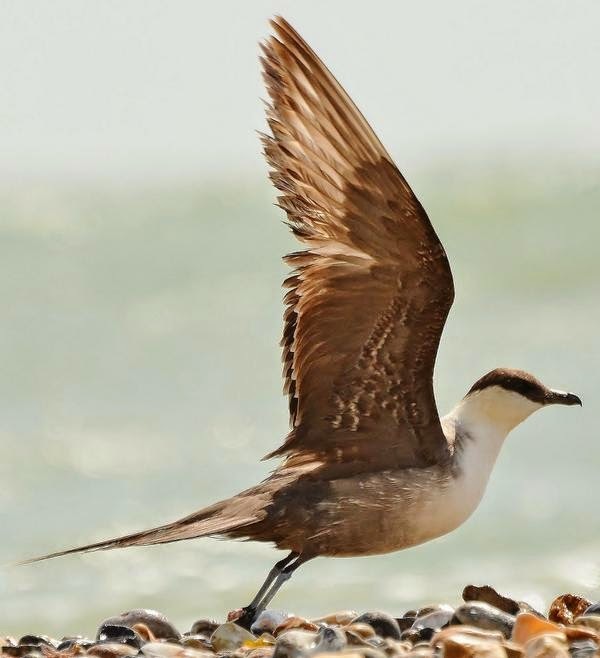 They often glide shearwater-like for several hundred metres without flapping and have a propensity to hunt insects, often at considerable height or over fields. 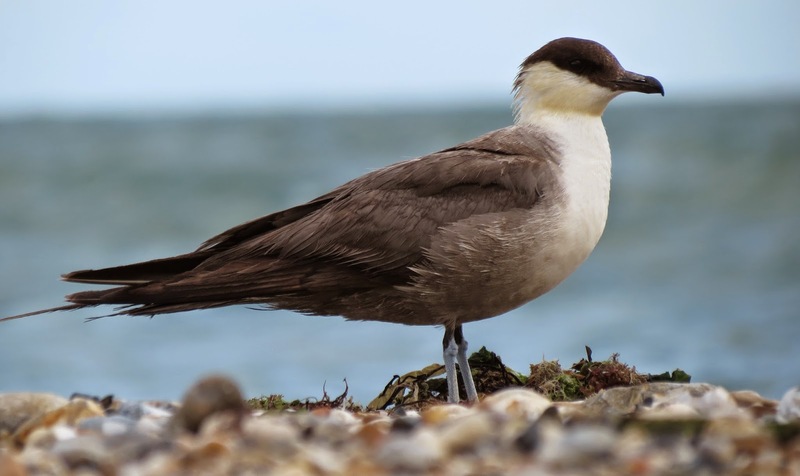 Long-tailed Skuas in adult form occur only as pale morph. 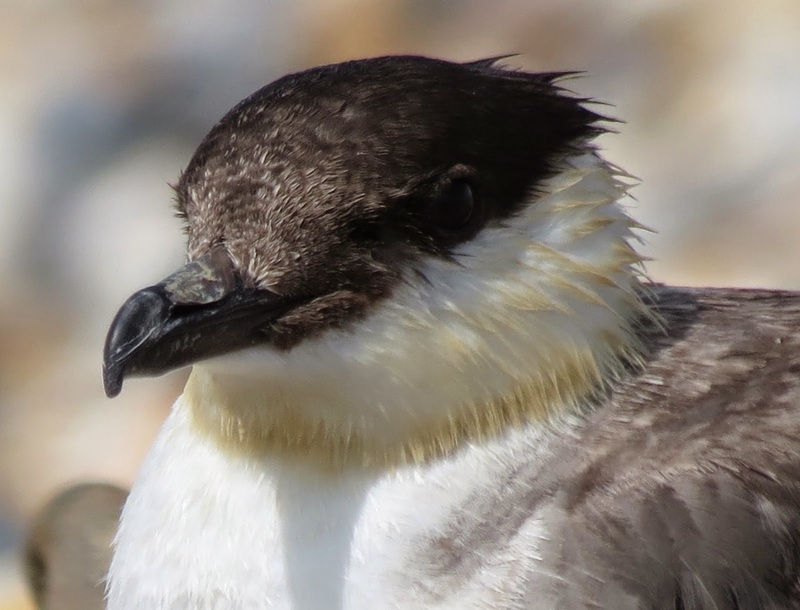 The concolorous dark cap and bill create a black helmet against pale neck sides and breast. 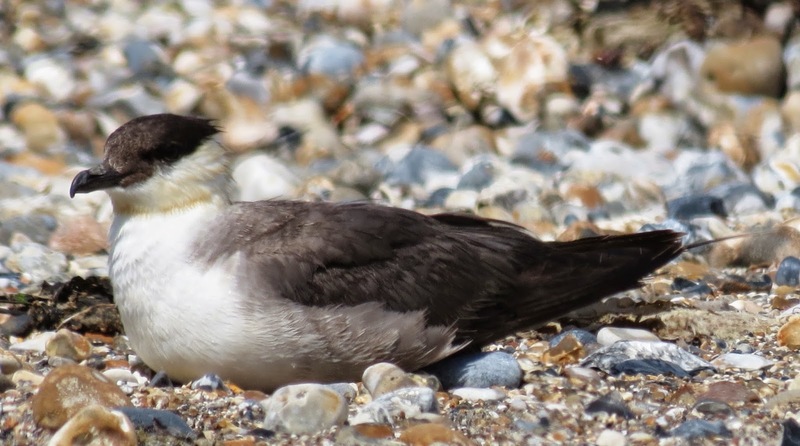 This pale breast gradually shades into a grey belly, the rest of the undersides being a darker brown. 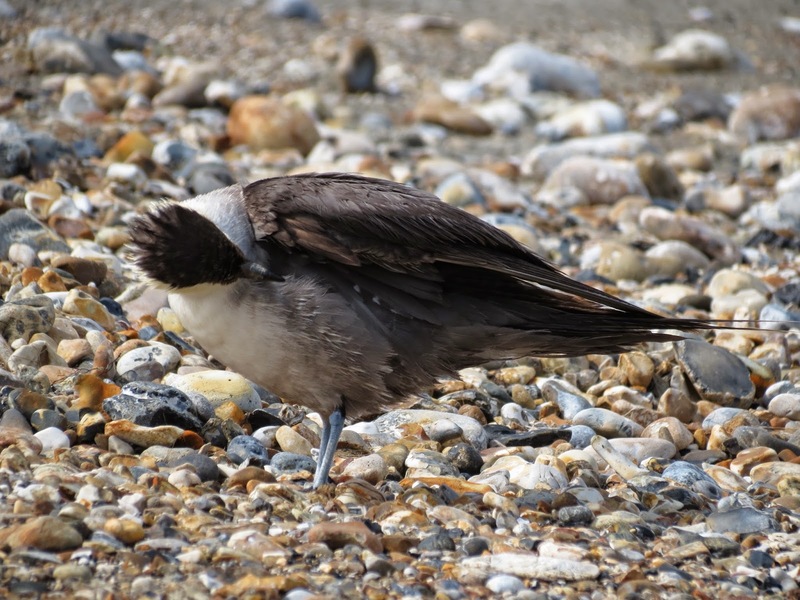 The upperparts are bi-coloured, being pale brownish-grey with contrasting black flight feathers and tail - the tail projection being much longer than in the other skuas - the central feather pair extending far beyond the rest of the tail. 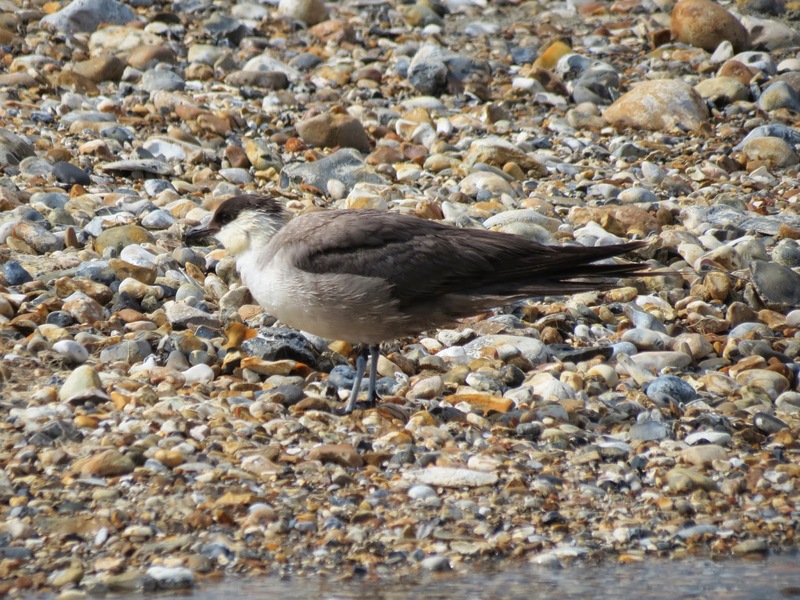 From late summer however, these central feathers are often broken off, and by September, are invariably missing. 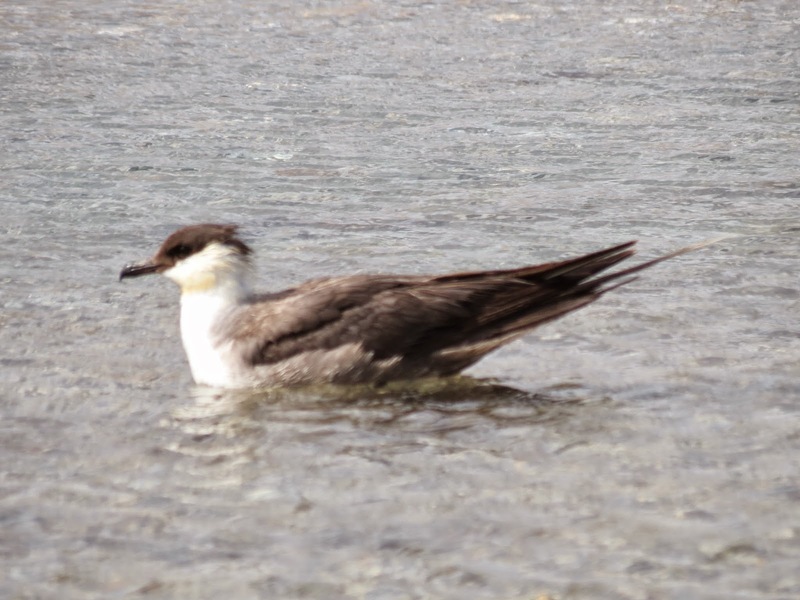 The tarsi are mostly bluish-grey, again unlike that of the dark colour of adult Arctic and Pomarine Skuas. 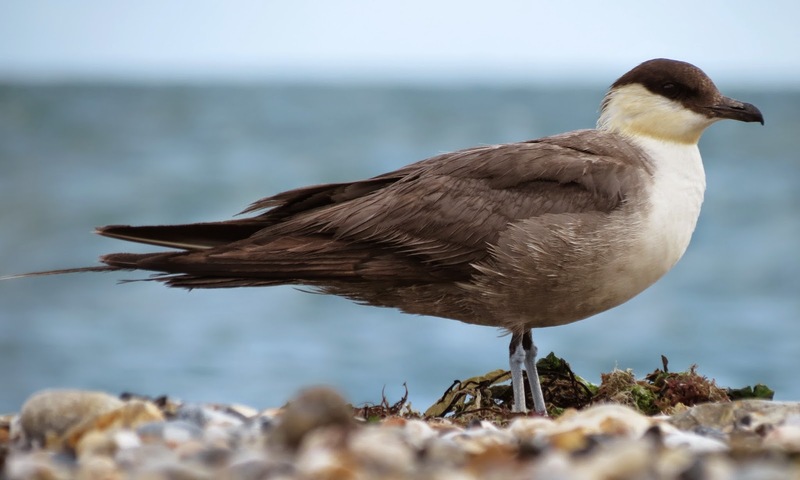 A full adult (eg, a bird in its 6th calendar-year or above) has an all-dark underwing, some barring being attained by adults in their 3rd, 4th and 5th summers. 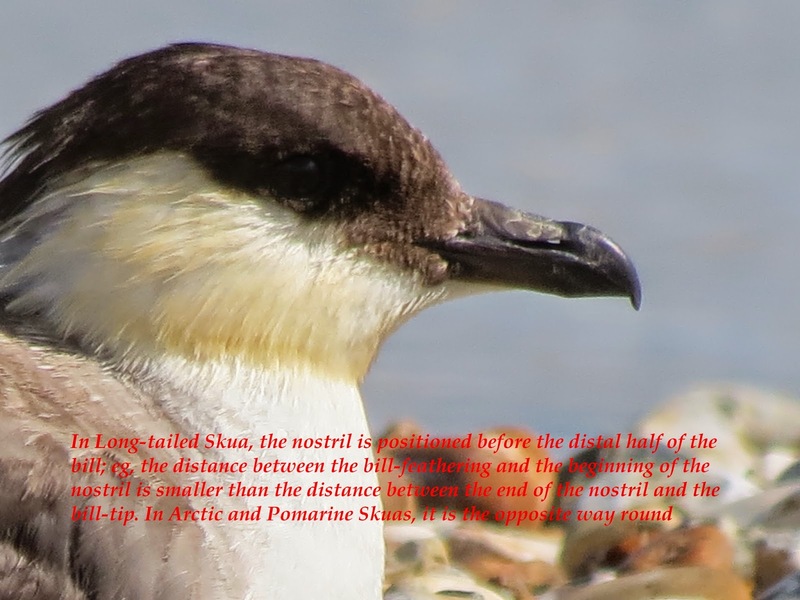 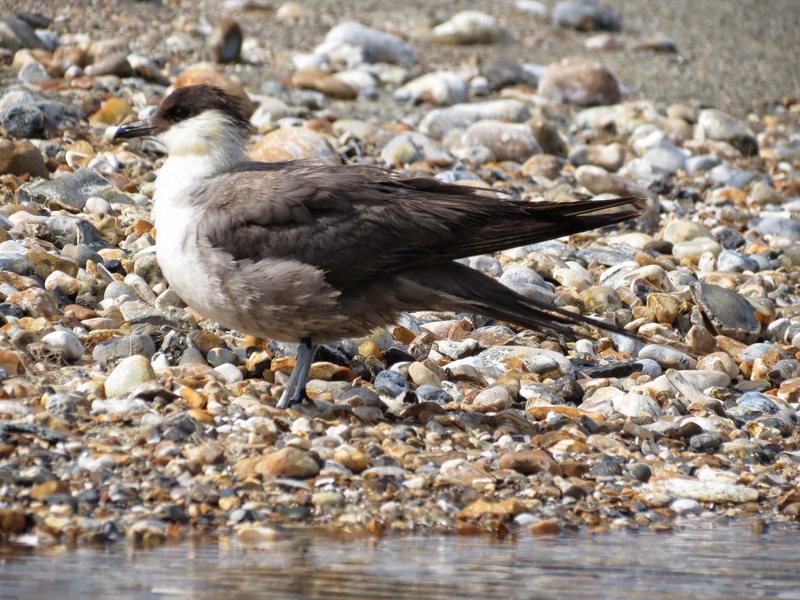 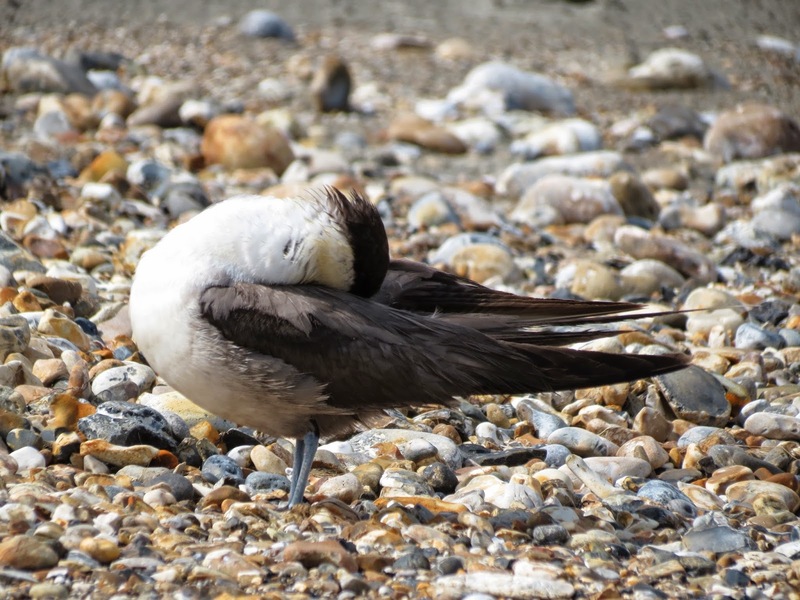 The moult of an adult Long-tailed Skua is completed on arrival at the wintering grounds between October and December. 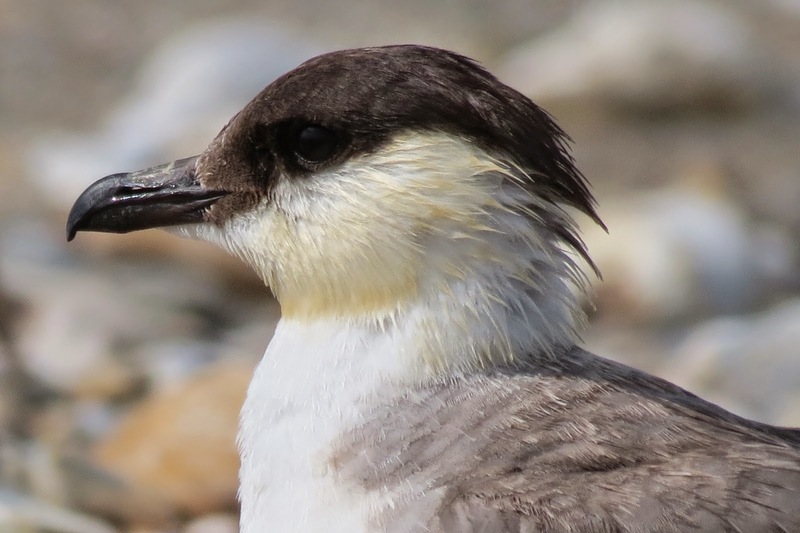 A minority (probably failed breeders) start in July with minor parts of the head and mantle.